Weapons ready and mustache wax stowed! RWBY is back with a sixth season that is looks to be as impressive as ever. 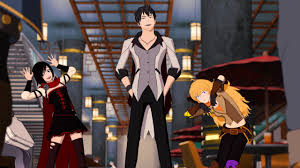 Once again, we catch up with Team RWBY and the remaining members of Team JNPR after their confrontation with Cinder Fall in Haven and Blake dealing with the White Fang uprising in Menagerie before meeting up with her team in Haven. They are now heading to Argus in search of other relics to keep them from falling into Salem’s hands. The first episode already kicked things into high gear with an epic fight on the train with a new Griffin-type Grimm. Each volume brings new advancements in the series’ animation and Volume 6 keeps that reputation going. Immediately, the animation is more vibrant, crisp, fluid and incredibly detailed environments that are leaps above the first and second volumes. The artwork is closer to resembling hand-drawn animation than before. This is evident in the battle atop the train between Team RWBY, Team JNPR and Qrow Browman versus the Griffin-like Grimm. The action is face paced and every aspect of each characters’ movement can be seen without it being blurry. And a treat for RWBY fans is seeing Qrow in action, taking on two Grimm at once. He even coordinates with his niece Ruby, showing their similar styles of combat. After discovering and using his Semblance to heal Weiss Schnee after she was gravely wounded by Cinder last season, Jaune appears to be getting a better handle on his newfound ability. He seems able to enhance the Semblance of others, such as enhancing Ren’s shadow Semblance to the presence of everyone on board the train. 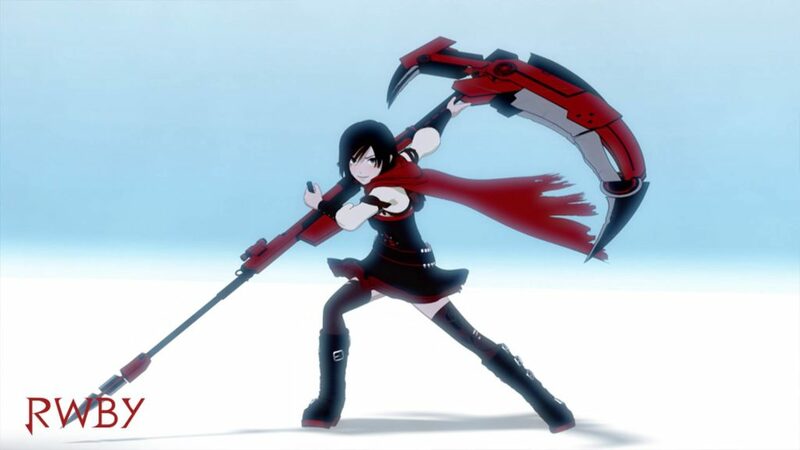 While on the subject of combining powers, Ruby and Weiss seem to have better teamwork with both girls changing into red and white rose pedals via Ruby’s Speed semblance. Whether this is a new dynamic of theirs or an effect totally on Rooster Teeth’s part is yet known. But still, it is cool to see. Unfortunately, things are not all hunky-dory. Team RWBY may be reassembled but there is still turmoil within the group, and it’s not because Yang doesn’t trust Blake. It is that Blake doesn’t trust herself around Yang. She still appears to hold blame for what happened at Beacon Academy and Yang’s injury. The evidence of this is shown when Blake hastily offers to help Yang with her bag must to Yang’s confusion and dismay. Even though Yang reassures her that she is fine, it will likely be some time before Blake fully moves past what happened. And I feel the only way for her to do so is when Adam Taurus is defeated for good. Ruby Rose appears to be coming into her role as a leader when she takes charge of protecting the passengers aboard the train to Argus during the Grimm attack. She has grown over the course of Volumes 3-5, realizing the responsibility that has been placed upon her shoulders. This latest display of her maturity shows that she is well on her way to becoming the Legendary Silver-Eyed Warrior her uncle spoke of. RWBY Volume 6 premiered October 27 on Rooster Teeth FIRST. Remember, new episodes of the series will not be uploaded to YouTube but Crunchyroll will continue to simulcast the series. Non members can view the episodes one week after their premiere dates.